It should be said from the outset that the Relook 400S - an intriguing Linux-based satellite PVR - is not intended for Sky Digital, because it lacks the necessary conditional-access hardware. Although compatible with Astra 2.xs FTA channels (such as BBC or ITV), the 400S is really intended for use with other satellites like Hotbird and Astra 1x. 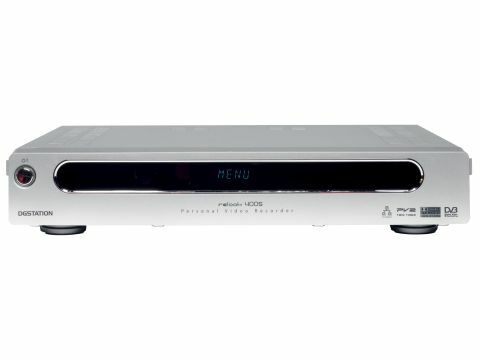 The 400S has twin-tuners, as with the Sky box. With appropriate setup, recording of one programme is allowed while another is being viewed. Two things make the 400S stand out. One is its software upgradability; third parties are developing custom firmwares and plug-ins, free of charge. The second is a 10/100Mbps Ethernet port that supports DHCP. Through this, network upgrades are possible. Furthermore, recordings can be transferred via FTP to a PC for conversion and DVD authoring. A web interface is included for remote control, scheduling and transfer of files to a remote PC. After placing the 400S in our router's DMZ, we were able to gain remote Internet access to the web interface via a dynamic IP provider. The large files containing recordings were slow to transfer with typical broadband upload speeds - so an offline MPEG-4 conversion tool would help here.